Jul 27 • Green • 863 Views • Comments Off on Is Your Business Green? 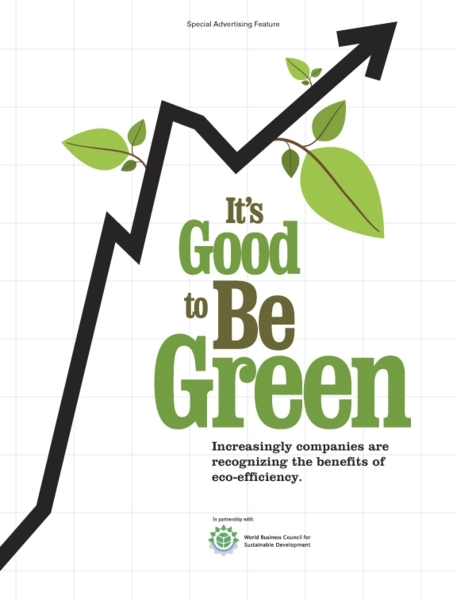 Other than conserving the environment, having an eco-friendly business comes with great benefits such as improving a company’s reputation as well as an increase in its profits. Many organizations fail to undertake eco-friendly measures in their companies due to the high costs involved. However there are a good number of environmental conservation practices that are inexpensive, some are even free. Businesses should strive to incorporate eco-friendly measures to create a better environment for the future generations. Large machinery used in companies that are run by fossil fuels usually release more emissions than an average vehicle. Introduction of diesel engines with the latest electronic sensors in businesses is an eco-friendly measure, since such engines burn fuel more thoroughly and produce fewer emissions. There are also laws set concerning non-road diesel emissions, following the increasing awareness of environmental protection. Such laws set the standards for emissions. Businesses that are unable to meet these standards should install exhaust after-treatment devices on their machinery. Environmental friendly, ‘green’ products are elements of an eco-friendly business. Such products should be non-toxic, locally produced, renewable, recyclable, or bio-based. Every organization should put up recycling bins at various strategic positions within its environs and educate its staff on their use. Waste materials are recycled to prevent environmental pollution and reduce the overhead costs of a business. Excessive use of products in a business, such as packaging material, works against the environment conservation measures. Non-biodegradable products should be avoided; business should turn to paper products especially for packaging purposes. Energy efficient practices have a positive effect on global warming, as well as potentially high returns and minimal risks on organizations. Eco-friendly businesses must apply energy conservation measures. The simplest way to do this is by switching off the lights when they are not in use. Vampirism is also common with electronic devices such as computers and power cords; such should be unplugged soon after switching off. Introduction of green power and renewable sources of energy are long-term power conservation measures that organizations can introduce. The general increase in the demand for water supply is a big threat to businesses because this results to a rise in the water bills. Efficient use of water by an organization cuts down on the water costs associated with bills, disposal, treatment and heating. Therefore, only the required amount of water should be used and taps should remain closed after use. Instead of frequent discharge of sewer water, introducing recycling systems would purify the water and reduce the long-term overhead costs of a business. Businesses are required to set up environmental management plans in order to ensure that the eco-friendly measures are strictly implemented, and maintained. They should also comply with the environmental obligations of their area as well as their local regulations. This would set a good example to other organizations and increase the popularity of the business. Since prevention is better than cure, compliance would prevent the business from encountering legal actions and fines imposed by the government that could cause them great losses. AllightSykes is a specialist dealer in Perkins diesel engines parts and the engines themselves. Powerful, reliable and environmentally efficient diesel engines. Our fully qualified team of experts can help you with any questions.